For the first time ever, more films will be watched online (legally) than purchased in the United States, according to IHS Screen Digest. The analytics firm estimates that Americans will watch 3.4 billion movies online in 2012, a figure that is considerably larger than the 2.4 billion DVD and Blu-ray discs expected to sell. This year's projected sales figures are actually down from last year's total of 2.6 billion. IHS' figures ignore illicit sources (ie. P2P networks, underground websites and curb-side sellers) and only takes into consideration official channels for streaming entertainment (eg. iTunes, Netflix, Hulu). Amazon and Netflix accounted for 94 percent of all movies legally watched online. 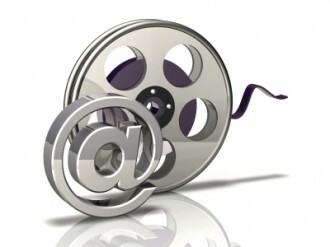 Although there is no denying that consumers are adopting Internet-based video distribution, the figures seem unfair. IHS points to Netflix as a major component of digital growth, but Netflix is actually more analogous to Blockbuster than Best Buy. It would seem the omission of video rentals makes online movie streaming versus physical disc sales somewhat "apples to oranges" in comparison. Also in the report, IHS found a huge price disparity between physical and online sales. According to the firm, consumers paid 51 cents for each movie watched while physically purchased discs rang up at an average of $4.72. Online viewing is projected to generate $1.7 billion this year while physical media will surpass the $11 billion mark. However, I caution readers to take these numbers as you will. These figures include Netflix, Hulu and other a la carte subscription models. A comparison between such subscription-based "rental" services versus physical sales figures seems somewhat inappropriate.